Hi everyone! The weather is getting really cold and I hope everyone is keeping warm and hopefully stay away from getting sick. I have been with Chit Chat Café now for a while and people always love to talk about food. 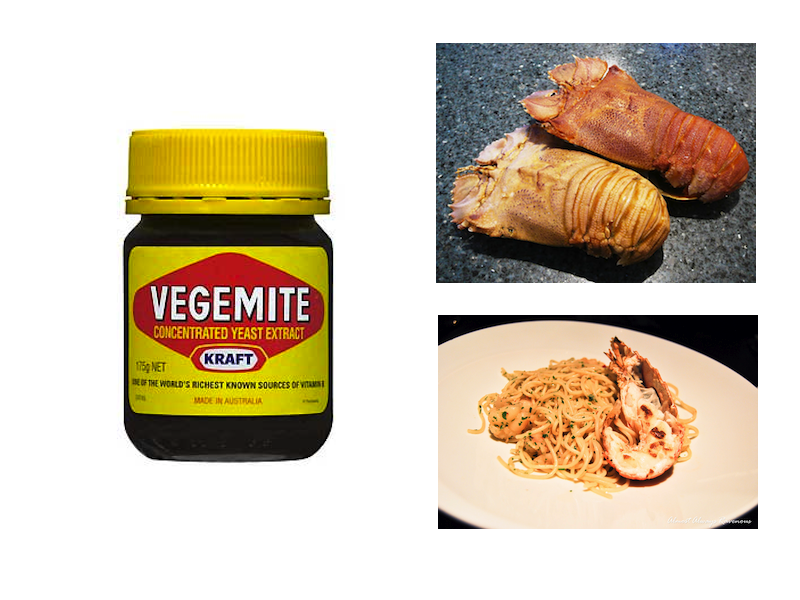 I was often asked what is Australian food? Australia are known for our vegemite of course most of you would know, as well as our wine and to some lesser extend our beers. We can find a lot of European food in Australia such as Italian and Greek due to early European settlers then followed by Asian settlers in the 1980s mainly from Vietnam and China. But Australia does not have a unique cooking style unlike French, Italian, and many of Asian countries like India, Japan, Korea and so on. We have something called “bush tucker” meaning cooking using ingredient found in bushland Australia but this is far from being Australian food, I never had one to be honest living in Australia for eleven years. Then, there are somewhat considered odd food that we consume in Australia such as crocodile, kangaroo or emu meat but again we don't consumed this on weekly basis. The number of times I have eaten those meat mentioned in eleven years are still countable with my two hands. We do however consume a lot of seafood, such as prawns, fish, calamari/squid. Lobster/crayfish. During Christmas seafood are particularly popular just like KFC for Japanese family. One seafood in particular I want to introduce to Chit Chatters today is called Moreton Bay Bugs. Bug (虫) is a peculiar names to name a seafood right? (Moreton bay is a coastline located near Brisbane). Well that seafood is a bit peculiar looking as it is looked like half lobster and half crab (please refer to the picture). The way you prepare it is just as you would when you preparing a lobster cut in half then take the meat up or boil it as a whole first then dump it into icy water so the meat do not stick on the shells inside. You could cook it in many different style and the second picture shows it is used in a spaghetti dish. Well I hope if you visit Australia one day you can try these tasty morsel or at least visit local fish market to see one in the flesh.